WASHINGTON (DARPA PR) — In an era of declining budgets and adversaries’ evolving capabilities, quick, affordable and routine access to space is increasingly critical for both national and economic security. Current satellite launch systems, however, require scheduling years in advance for a handful of available slots. Launches often cost hundreds of millions of dollars each, in large part to the massive amounts of dedicated infrastructure and personnel required. The XS-1 program aims to develop a fully-reusable unmanned vehicle that would provide aircraft-like access to space and deploy small satellites to orbit using expendable upper stages. XS-1 seeks to deploy small satellites faster and more affordably, and develop technology for next-generation hypersonic vehicles. 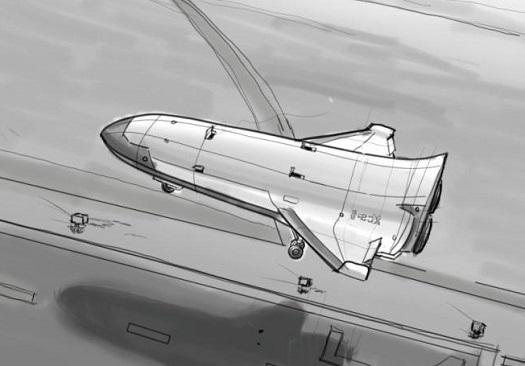 XS-1 envisions that a reusable first stage would fly to hypersonic speeds at a suborbital altitude. At that point, one or more expendable upper stages would separate and deploy a satellite into Low Earth Orbit (LEO). The reusable first stage would then return to earth, land and be prepared for the next flight. Modular components, durable thermal protection systems and automatic launch, flight and recovery systems should significantly reduce logistical needs, enabling rapid turnaround between flights. Key XS-1 technical goals include flying 10 times in 10 days, flying to Mach 10+ at least once and launching a representative small payload to orbit. The program also seeks to reduce the cost of access to space for 3,000- to 5,000-pound payloads to less than $5 million per flight. DARPA expects the performers to explore alternative technical approaches from the perspectives of feasibility, performance, system design and development cost and operational cost. They must also assess potential suitability for near-term transition opportunities to military, civil and commercial users. These opportunities include both launching small payloads per the program goals as well as others, such as supporting future hypersonic testing and a future space access aircraft.